This is not because it is not yet the asparagus season that you cannot eat some. Of course fresh asparagus are tastier than canned ones. But depending on the recipe, you can be well surprised and enjoy the canned asparagus as well. You will find below a delicious verrine recipe made with canned asparagus. The mascarpone will give the thickness of the asparagus cream and crayfish add a sensation of freshness. 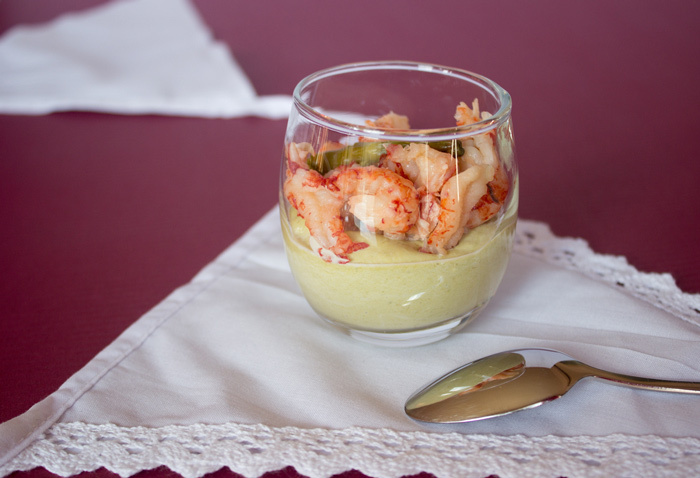 The green contrasts with the pink of the crayfish and this verrine will not just taste good but will also looks good! This recipe will awake your senses and stimulates your palate. If I would have known that it would taste so delicious, I would have made some more. Think about it when you make this recipe and prepare save some extra! Reserve six asparagus head for the decoration. Blend the rest of the asparagus with mascarpone, salt and pepper. Put a layer in your verrines and place in your fridge for 2 hours. 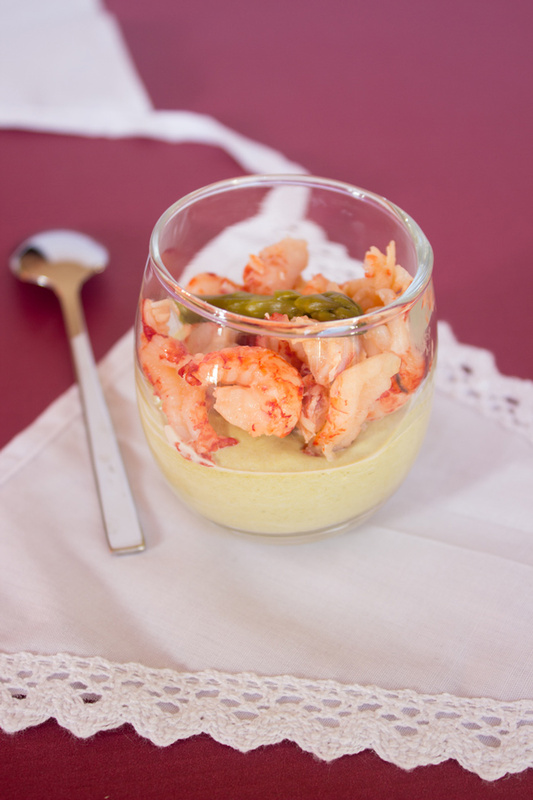 Spread some crayfish on top of each verrine and finish by placing an asparagus head and serve. You can also add some espelette pepper to bring out more flavour. If you enjoy this recipe, you can have a look at the verrine recipe index. 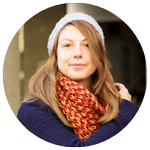 Are you interested in receiving the latest recipes of a French girl “cuisine”? You can either register to the newsletter or follow a French girl “cuisine” on the social media. I am publishing in general one recipe a month, my goal is once a week but I am not here yet :)! You might be interested in trying another colorful verrines such as the Beetroot cream and parmesan chips verrine or the shrimps, Avocado and Salmon Eggs verrine. I was looking for a light, refreshing and not too time-consuming starter to make after the long process of making a classical boeuf bourguignon (ideal for the weather here in Yorkshire at the moment) for guests tomorrow evening. You came up trumps! Most of verrines are fast and easy recipes. That’s definitely what I like about them. I make also a lot of stews and I look for easy recipes as well for starters. Let me know if your guests enjoyed it. I also published a boeuf bourguignon recipe some time ago, You might want to have a quick look as well. https://www.frenchgirlcuisine.com/2013/01/29/boeuf-bourgignon/. Weather is not that bad today in Lausanne. We are lucky!